From time to time, SpeedCurve Synthetic users will ask us why the number of daily test results they're seeing doesn't match the number of tests in their settings. This is usually because they've completed the first step in setting up their test times, but not the second step. The reason why this is a two-step process is to allow you to customize your settings for each test. For example, if you're testing your own site 3 times a day, and you're also testing a competitor's site in order to compare results, you may only want to test your competitor once a day. This has the added benefit of helping you control your number of monthly synthetic checks. Here's a walkthrough, using my own test account. 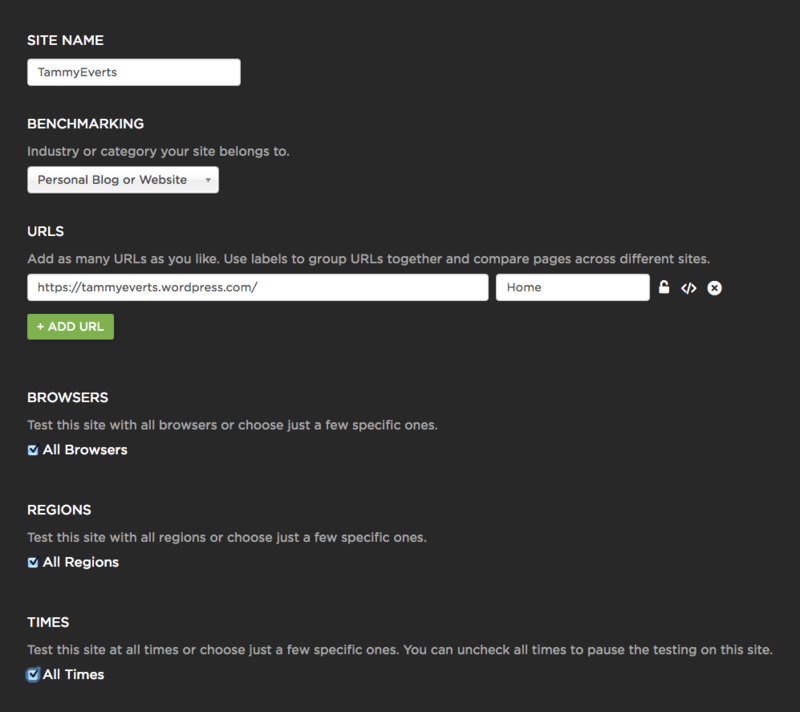 The next step is to open up each individual site to customize the test times for each site you want to test. To do this, go to the top of your Settings page and click on a site you're testing. Here you can see that I've added Steve's website alongside mine. 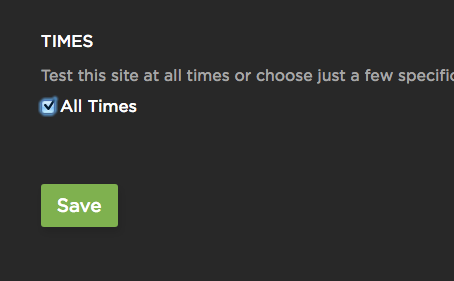 Clicking on 'TAMMYEVERTS' opens up a menu of test options that I can customize for that site. Near the bottom of this menu, you can see the selection of time options. In this case, I've selected 'All Times', which means this URL will be tested during all the times I created in my settings. When I deselect 'All Times' I can see my full menu of time options. Then I can select whichever ones I want to test. 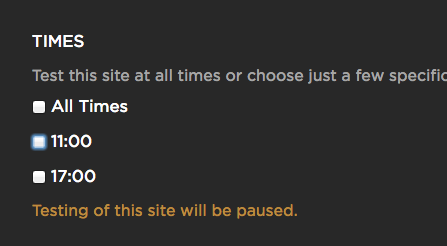 If I deselect all the options, then testing for this site will be paused. And of course, don't forget to hit the 'Save' button to save your settings.